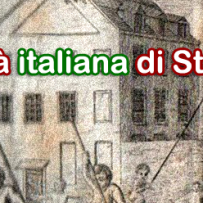 Siss (Italian Society for Sports History) and Sism (Italian Society for Military History) propose a meeting to study the role of sport in European culture during the First World War whensport experience significant changes and dissemination. The Conference will be hosted in Florence in May 2014 to commemorate the 100th anniversary of the beginning of the First World War. The aim of the conference is to share the deep relevance that sport had with the industrial revolution and the development of Italian society through its social and political metamorphosis. Just thinkof the growing interesting of Catholics and Socialists, who measure themselves against emerging sport, and even the obvious link with Gabriele D’Annunzio and the competitive spirit of his undertakings. Sport by definition and originseems to be the most appropriate instrument to deal with this important historical topic from the point of view of war and its effects, to hand on the great value of peace, as the Organizing Committee, created for the recurrence of this centenary, underscores. Furthermore internationalism is another of the fundamental features of sport that gradually lead Italy, from a provincial reality to be in touch with belligerent and allied nations. Many heroes of the Great War were athletes who became soldiers. From a civil competitive spirit to barbarism of the fight, where boldness and athletic training were undoubtedly of great importance, thus a change of course happened as regards as to Elias and Dunning’s interpretation (1986) of the sports field like metaphor of the battlefield. Sportsmen’s blood spilled during the First World War seems to demonstrate the opposite view, as if that sportsman was a “man of war, not only for physical preparedness, but also for the intense pleasure of the fight, that always makes a hero of him” (S. Giuntini, Lo sport e la Grande Guerra, SME 2000). The Conference will be divided into four section, one of which for those 35 years old and under will deal with posters. The best poster will be awarded a prize.